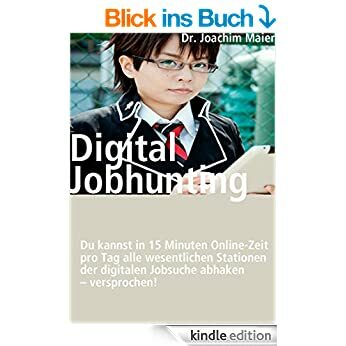 NEW for German speakers: my eBOOK DIGITALES JOBHUNTING is im amazon-kindle-store verfügbar. Enjoy. Feedback appreciated. Surf through these digital jobhunting infographics – are you getting the big picture? Are you having a digital life – what does it look like? Zoom into digital jobhunting must see & must reads. Video, the next big thing for digital jobhunters? Keeping ahead of the job market game-changers: (1) Web-job-search, RSS-feeds & job information aggregation tools with feedly.com (video tutorial) (2) How to curate your digital fingerprint (3) Social media & social life resources & do’s and don’t’s (4) Skype interviewing & application videos. Increase your digital literacy on the job hunt: Know what, how and when to do. Get a feel for the fundamental changes that are driving the job market‘s going digital. Get motivated to curiously and confidently exploring new digital crossroads along the job market highways. Express your experiences, develop your knowledge and plan the most suitable next steps as a digital jobhunter. Build your jobhunting information cockpit and tab into relevant communities of practice. The next big thing is video: If your cover letter would be replaced by an application-video, what would you tell in 30 seconds? Are you prepared for a Skype job-interview? Buchen Sie die meine Keynote «Film berührt». © 2019 Dr. Joachim Maier. All rights reserved. Premium WordPress Themes.